My Latest and Favourite Chicken Tikka Masala Recipe is in my New Hardbound Cookbook! Chicken tikka masala is my kids’ all time favourite curry. They aren’t into spicy food so this and chicken korma are often on our evening menu. This recipe is the result of many visits to curry house kitchens. 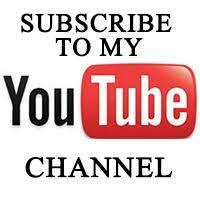 I have watched it be made many times and of course made it myself hundreds times more. 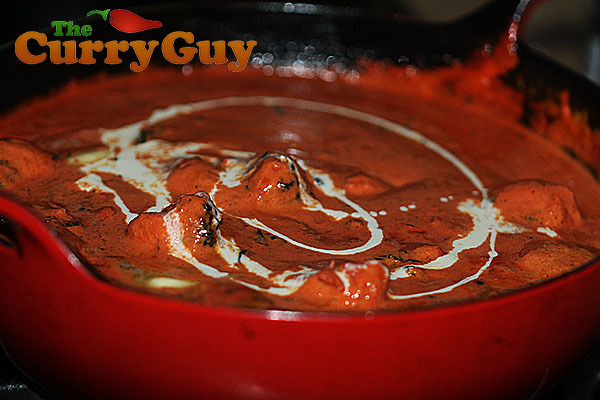 If you are a chicken tikka masala fan, this one is probably the best out there. I’ve had some great teachers. 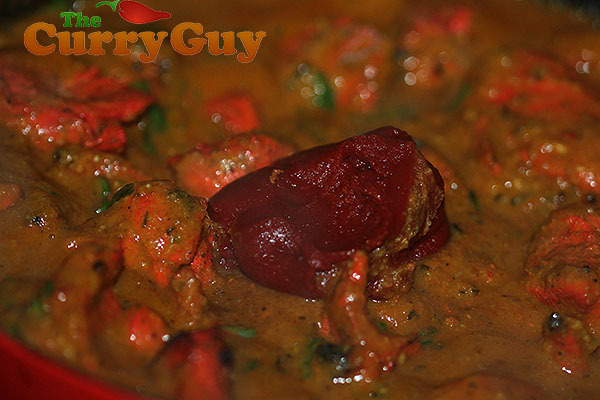 Now I would like you to be able to make this hugely popular mild curry too. Many chicken tikka masalas are very sweet. I don’t personally care for overly sweet curries but if that’s what you like, add more sugar or honey. That will do the job. 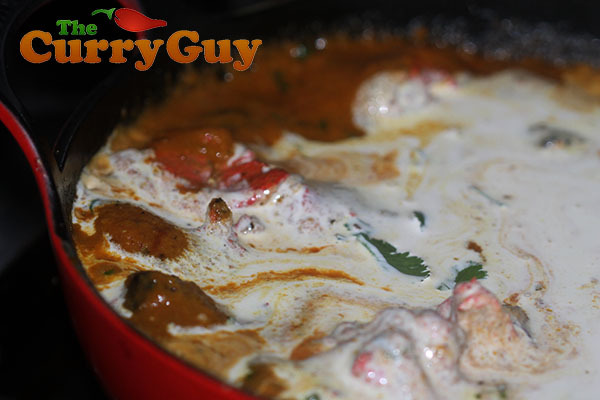 All of the authentic Indian restaurant style curry recipes on my site use a base curry sauce. There is a link to my recipe below. 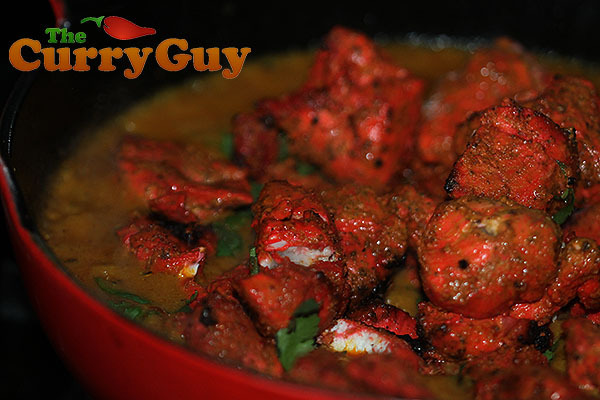 Most restaurants use tandoori style chicken for chicken tikka masala. Here is my recipe. Start by melting your ghee. Add the spices and fry for about 20 seconds. Then add the garlic and ginger paste. Pour in the heated base curry sauce. In goes the tandoori chicken. Stir the chicken into the sauce and then add the tomato paste. Add the red food colouring if using. Finish by adding a squeeze or two of lemon juice and seasoning with salt and pepper to taste. I recommend serving this chicken tikka masala with plain white rice and another curry such as chicken korma or my mildly spiced pork patia. I like to marinate the chicken for 48 hours. You could get away with an hour or two but the longer you marinate the chicken the better. When bubbling hot, add the cumin, turmeric, coriander powder, fenugreek leaves and garam masala. 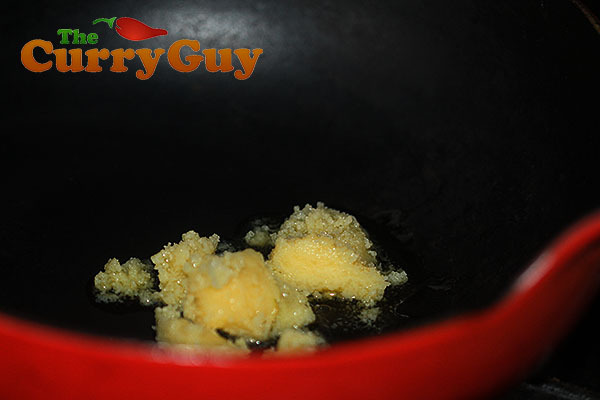 Stir the spices around in the hot oil for about 30 seconds and then add the tomato paste and garlic and ginger paste. Continue stirring all the ingredients for another 30 seconds and then add the heated curry sauce. 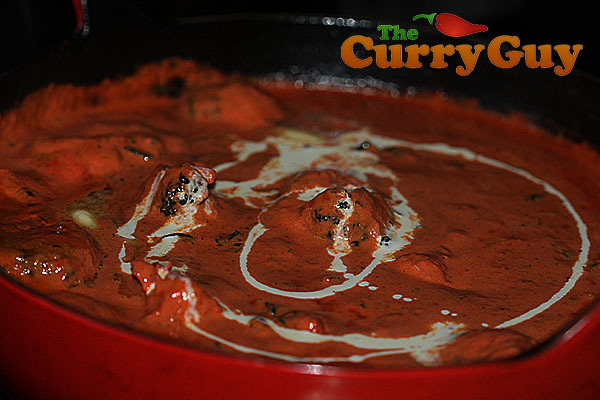 Bring to a simmer and add your chicken tikka. Simmer for about a minute and pour in the cream and red dye if using. Add the butter and stir until it melts into the sauce. Stir in the fresh coriander, season with salt and pepper and finish with a squeeze or two of lemon. I hope you like it. 🙂 My family sure does. Also I think the recipe meant to call for cilantro bunch! this looks fantastic – my husband’s favorite…maybe a Valentine’s Day treat! Quick question on your curry gravy: The recipe you link to makes “8 main course servings” – would one serving be the 3 c. you call for tikka masala? I have now corrected that. The sauce makes enough for approximately eight curries. Each of my British Indian restaurant (BIR) curries like this chicken tikka masala serves 3 to 4 people. The leftover curry gravy freezes very well. I can’t seem to find a garam masala recipe on your site – I have a a couple of versions I bought from Indian Grocers but they all seem to differ somewhat and I’d like to make my own as I’m buying a spice grinder next week (Yessss…) so I can also make your Tandoori mix and Curry Powder. Any hints? Hi, found it in your “larder section” – cheers, Michael. Hi, I would like to make this recipe as it’s my families favourite, tho some recipes I have seen talk about coconut, perhaps half a cup added at the end? Thank you. I have read and tried hundreds of different chicken tikka masala recipes. It seems no two are the same. I love a bit of coconut in this curry. My kids aren’t convinced so I leave it out. If you add 1/2 cup of coconut milk at the end it would taste great. I try this last night done this and the madras, previously done the gravy the night before, loved it was the best curry I have made, easy to follow steps and I’m beginner cook so must be easy. Thanks. I’m really glad you liked it. It’s comments like that that make all the blogging worth it. Madras are new to me. Thank you very much Erafrey! 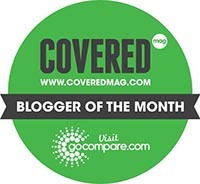 It comments like that that make all the blogging worthwhile. I’m really glad you liked the recipe. I made your chicken tikka Marsala this evening for the first time. It is absolutely lovely and so easy. Thank you. Just to say thanks agian for your great recipes. Made Tikka Masala as above at my very first attempt and it was absolutely delicious. Just as you’ve said, it tasted like a real British Indian Restaurant Curry. Thank you very much Jon for your nice words and feedback. I’m really happy you liked the recipes. 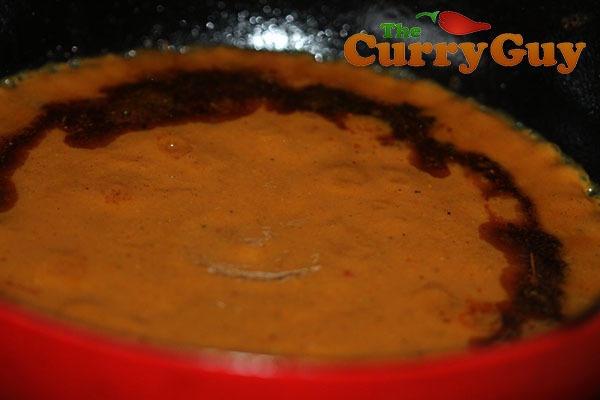 Love your curry sauce recipe and am busy experiementing with a range of flavours and textures. Thank you. I found 2 versions of Ch. Tikka masala. Which one is your favouraite and the one I should cook for my family? Thanks for your question and leaving a comment. The newer of the two chicken tikka masala recipes is closer to what you would find in an Indian restaurant. The other was written about a year ago and is much closer to authentic Indian cooking. Personally I think both are really nice but if you are going for the takeaway look and flavour, go with the latest version. Wow – I’m so glad I found your site. I love it. Problem is that the sirloin steak I’ve been looking forward to all day suddenly doesn’t seem so appealing! Note to self… Do not look at anything on this website after the dinner’s gone in. Ever! Even if it’s that wonderful, low temperature cooked steak. The one that always cooks to perfection and looks like something out of an M&S food advert. Even if it’s also going to have that amazing mushroom, chili, garlic, bacon and cream sauce! No. Don’t do it. You’ll just want curry instead! Once again you are the man. 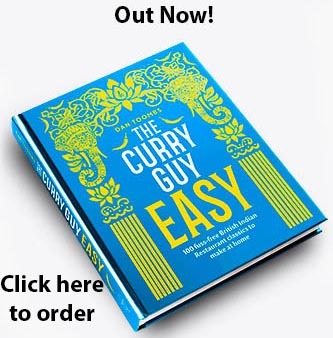 I have been experimenting with cooking Curry for around 15 years now and the recipes on your website are far superior to any others. I cooked the Chicken Tikka Masala tonight and my wife & kids couldn’t get enough. Just wondering if you would have a recipe for Indian style Spiced & Grilled fish. An indian friend of mine which I have lost contact with now cooked it for us one night and it was amazing. Thanks for sharing all your fantastic recipes, I look forward to future posts. Pre cooking chicken is a restaurant time saver and should never be done at home !! If you stop trying to be Indian take aways at home your food will enter another dimension. I love chicken tikka masala and i am going to be trying your recipe soon! precooking chicken is a brilliant idea. Thanks. You don’t have to pre-cook the chicken. Only if you’re in a hurry. I love to cook it in a tandoor oven. Enjoy. Thanks and I hope it all goes well for you. Hi Dan, This dish looks great! One thing though, I’m not a fan of tomato puree as it seems to impart a ‘burnt’ flavour to dishes. Maybe I’m using an inferia type? I’m guessing homemade tomato paste would be ok instead? Could you let us know which brand of tomato puree you use? Many thanks 🙂 Ian. I use Heinz which seems to work really well. I guess you could leave it out if you’d rather. Thank you very much Annie. Really glad you like the recipes. I use a Krupps grinder and it works really well. Any good quality coffee grinder will do the job though. Don’t spend more than about £20.00. Thanks for all your endeavors mate, great job. Question, do you have the mint yogurt recipe famously served in the Indian restaurant with Shish Kebabs and Popadoms. Thank you. I do have the recipe but not typed. I’ll do that for you shortly. Living in New Zealand for 12 yrs, orig. from Zimbabwe, I have found very few C.T.Masalas that I like. I have been following yr blog for the past year and only now have I tried one of yr recipes. I decided to cook it for work last week for my monthly lunch contribution, what can I say, it was very very good, thank you 🙂 Please could you tell be what the cabbage does to it, I love your site and will be cooking much more recipes of yours in the future, thanks again for sharing your cooking skills. Thanks very much for that. I’m really glad you tried and liked the recipe. The cabbage idea was given to me by the ex chef of my local tandoori recipe. It adds very little flavour but does thicken the sauce and it’s nice to have the extra vegetables. I think is does add to the sauce a little so if you have it on hand, use it. If not, don’t let that stop you from making a batch. You are a savior! Am a Scot now living in the USA and tried a few other recipes on the net with not a lot of sucess before coming across your site. My husband and my dinner party guests loved this! I am making it this weekend again (currently making your naans as a trial run) but the guests this weekend prefer milder curry – can you tell me how to make it milder if that isn’t a silly question? Less curry powder? 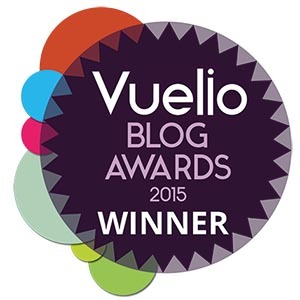 Thanks a lot in advance and well done on your fab site. I’ve been searching for a while and can’t track down fenugreek leaves. Is there anything I can substitute for them? Hi Lottie – Just leave them out. They are nice but as long as the other ingredients are there, you won’t miss the fenugreek. Hi Dan, i have made about 5 different c t mos dishes and none of them have come close to yours, taste texture and presentation were all spot on. 5 stars from the wife too. Thanks. Thanks so much, I have been living in China for a few years now and curry is my favourite meal but just can’t seem to find a good curry anywhere in the place where I live…so thanks so much for sharing your skills. You’re a legend! Just hope the ingredients will be easy enough to find! Keep up the good work!!! Bless you and your family. Wish you go from success to success!!! Thank you Euan. I hope you can find all the ingredients you need too. Keep in touch. Cooked this one today……..as a lover of Indian Cuisine and having been praised for my previous curries I am totally in awe of you recipes……I think I may have quite a hot chili powder because it came out much hotter than a takeaway tikka masala….but that was fine for me….I usually ask them to make mine hotter anyway…..my partner just added more yoghurt….I made it really red like a take away as well which is so pretty…..I know it is a British invention but it is one of my favourites…..Thanks again. Thanks for this! Tikka Masala in a jar just isn’t right. Just put the chicken chunks in the fridge to marinate. It won’t get 48hrs but it should get a good 16-18. Can’t wait to get the sauce done and give it a try now. Only had dried garlic and ginger so it won’t be perfect but should still be tasty. Also didn’t have clove powder but hoping I get away with it. Going to chuck in 1/2 cup of coconut milk at the end as per your suggestion. Update: Beautiful curry. Mild, creamy, perfect for my spiceaphobe mum. The chicken after 14hrs or so marinading was out of this world. My sauce ended up a little bitter. Not sure where I went wrong there, perhaps extra juicy lemons? but a tablespoon extra of sugar brought it around. I need to be more careful next time. If I wasn’t cooking for my mum after her foot op I’d have been happy just to use the gorgeous pre-marinade sauce but it was too hot for her. Make sure you give it a try anyone attempting this recipe! Thanks for that Nell. Great to hear you got the sauce just right in the end. It does take some experimentation from time to time. We as a family have just finished our first proper tikka masala meal from raw ingredients and not out of a jar! Firstly I would just like to say what a buzz I got from cooking it and my ten year old son helped and loved it too! I marinated the chicked over night and it was out of this world and succulent, when removed from the oven it looked amazing, tandoori chicken! The flavour was great but could be dabbled with to suit individuals tastes! what would we add to get a sweeter taste? I am thinking of throwing all three of them in next time! That is what I love about curries, you just cannot be wrong! So true. Really glad you liked the recipe. Yes, sugar will do the job just fine. I don’t have much of a sweet tooth but my kids do and they add sugar when cooking. Some chicken tikka masalas have coconut milk while others don’t. I like to add it sometimes and it will make the curry sweeter. Have you since revised this recipe at all? 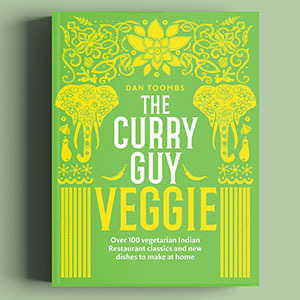 Or do you have any advice on how I could amend your ebook tikka masala recipe? It’s all a personal thing. My recipe was shown to me by a chef whose food I really like. Why not leave all of the chilli out and then sprinkle it in slowly at the end or not at all. I loved the recipe, especially how you cook the chicken. I will be doing it this way all the time now. The only thing for me was mine was very thick so I wondered if I did something wrong. I did try and cook it on a low heat but it was still thick. I wondered if I would be able to add some water to the tomato to achieve this so it looks a bit more like it does in the picture? Hi dan love this recipe, tried to make it red as in the picture I’ve put red dye in but I can not get it like yours , I’ve heard beetroot juice is good. Any ideas? Beetroot juice is a good alternative to red dye. You may want to use a little more. To be honest, I rarely colour it at all. There is no added flavour. Looking to try this recipe, just a bit uneasy about adding marinade to the sauce. Also can’t find fenugreek leaves, will it matter much? Don’t worry about adding marinade to the sauce. Just be sure to cook it at a high temp for a few minutes so that it cooks all the raw chicken juices. If you can’t find fenugreek leaves, try a pinch of fenugreek powder. Not too much though as it is a lot stronger than the leaves. You could leave it out too. Just made the marinade and put the chicken in and placed in the fridge for 48 hrs ready for my hubby on Wednesday and I’m sure I’ve used way too much fenugreek (only had powdered and used a couple of teaspoons) is there anything I can do to rescue it ! Really don’t want to waste it by binning it. It sounds like you did use too much. Fenugreek powder is quite potent. Double or triple the recipe. You may even need to make more than that. It freezes well though. If you add a little water or stock and simmer a while longer, the flavour of the lemon will reduce. Hope this helps. I just made your chicken tikka and it was the best curry I’ve made so far! I left out the red food colouring and used a vibrant red tandoori spice powder instead, which went on the raw chicken first before the rest of the marinade ingredients and it stained the chicken red. I also added some cardomon pods and a few whole cloves as I didn’t have any ground cloves- just got to take them out at the end. Loved opening the oven to see my chicken looked just like the tandoori chicken from my local curry house! Thanks so much for the recipe, I will be checking out your other ones! Thank you Sophie. Great to hear the recipe worked out for you and that you added your own personal touch. Thank you Sherrie. Really glad you liked it. Do you have a similar one that can be cooked in a slow cooker? Slow cooker curries aren’t as good but you could mix all these ingredients in the slow cooker. It will still be one heck of a lot better than a ready meal. Hi Dan, loving the Chesni, Dansak and now want to try CTMarsala, I was wondering if I could use the Curry Gravy Base and just add the spices and butter to that or would you advise not to. Ps. Converted my mum to Indian flavours and she even preferred your two Dishes I mentioned above to a shop bought third dish, saying definetly cook them two again for me but that one not keen on at all, I was well chuffed. I’ve just re-read your instructions and silly me you had answered my question in them. Senior moment no doubt.!! Thank you for sharing your lovely recipes. I have recently updated my CTM recipe with loads of step by step photos. These should answer all your questions. Great to hear Ross. Glad you and family liked the recipe. Yes. There is quite a lot of sauce anyway so you could probably double the chicken but just make a little more sauce. I have been making my own curries for years, using online recipes, but somehow managed to miss yours. I haven’t even made any yet yet but I bought your book “How To Make British Indian Restaurant Style Meals” on the kindle, as I can tell just by reading the recipes they are going to be delicious. I’ve just finished getting a batch of chicken tikka ready and marinading, will be making my first large batch of curry sauce on the weekend and thought I might try the tikka masala first up. I noticed there are some differences between the online recipes and those in the book, which ones are more up to date ? Also in the comments someone talks about adding the leftover marinade to the sauce, this step isn’t mentioned in the recipe, so do you recommend this or not ? It doesn’t say anything about adding the fenugreek leaves or powder in this this. Thanks for your great website. 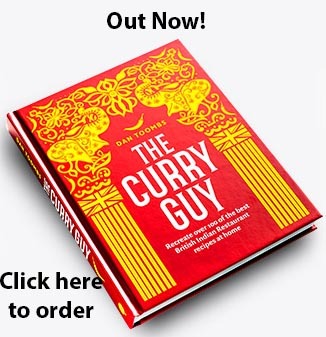 I am a curry-loving Brit who has been living in Western Australia for the past decade and cannot find a good curry to match the amazing ones back home. I finally found your site yesterday and started out with the curry base gravy made into chicken korma (which was always my control dish for comparing new restaurants in the UK). It came out beautifully, mild, creamy and genuinely flavoursome. We ate far too much, it was so good, but went to bed fat but happy! 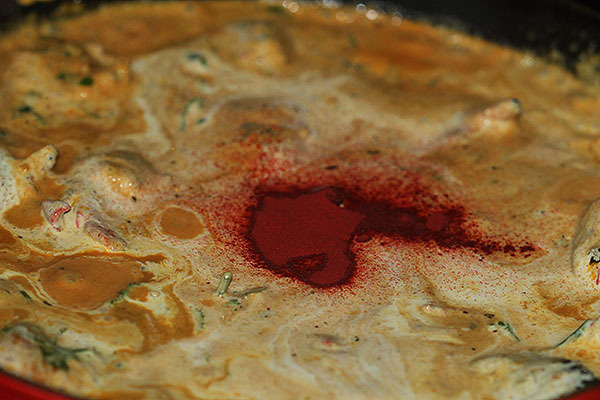 One thing to mention – my gravy and resulting korma sauce was slightly too bitter too. Funnily enough, salt counteracts bitterness, so make sure you add some salt (not just increasing the sugar too much) if anyone experiences this issue. Thanks so much Jen. Glad you liked the recipe. Good advice too. People are reading these recipes from all over the world so measure may be different depending on the product used. I really appreciate you feedback. When you say 4 tbsp garlic and ginger paste do you mean 4 of each or a combination ie say 2 of each? That’s great. Thanks for the kind words. Keep in touch and happy cooking. Hi, have you got a recipe for a murghi masala please? Thank you. I use a red food colouring powder by Balah. I’ve used others though with equally good results. Good luck and I hope you enjoy the recipe. Is it ok to make the tikka masala sauce in advance and freeze it before adding the chicken? Just tried the base sauce and chicken tikka masala. Unbelievably good. Better than a lot of restaurants. I tried a lot of BIR CTM from many sources but this one was by far the best I ever tried !!! I’m from France and french indian restaurants never use coconut in their recipes..And CTM there is no more sugar than in other curries..I’m now convinced that coconut has not to be used in this recipe…And there is no need to add too many sugar too. Thank you very much Guillaume. I’m really glad you like the recipe. New to your site. Made the base sauce already and looking forward to trying a Dhansak first although my son wants this CTM! Not sure who will win. Perhaps you could kindly point me in the right direction as I can’t source all the spices from my local supermarket. There are lots of on line companies. Who do you find the best for quality and value? Thanks again for the recipes. Thank you very much. Try East End Foods. They have an online shop and their spices are excellent quality. There is a link to their shop on the right hand side of my shop. These are the spices I use. Thank you. The curry actually gets better if you leave it over night. It also freezes well for up to two months. Thank you! Can’t wait to use your recipe. Can you please tell me where you find the Indian spices? You can find Indian spices both online and also at Asian shops. They aren’t difficult to come by in most places. Good luck. hello, I am doing this curry on Saturday for my birthday after finding you on internet, looks amaze balls, what base curry sauce to use though? im ordering all the stuff and unsure which base curry sauce to buy? 700ml heated base curry sauce? My base sauce recipe is on my home page. There should have been a link to it. I’ll get that fixed. I would put a quarter to a half of a block of coconut cream, gives it a stronger coconut flavour and texture and a big handful of ground almonds and I like a squeeze of lime instead of lemon for CTM. Curry base is super, the cabbage makes a big difference. The pictures look wonderful. I live in California and a small restaurant here has the most amazing chiken tikka masala I’ve ever had. I’ve tried many recipes to copycat it, but to no avail. The chef finally told me there are carrots and bell peppers in the gravy, so I was hopeful when I tried using your recipe since it includes the same. The photos you’ve posted also look really similar. I made the large batch base and it looked close to your photos, but not quite. My consistency turned out a bit clumpy, no matter how much I blended (using a handheld immersion blender). As for the tikka masala recipe, the only thing I left out was the fenugreek and food color, and the end result was unfortunately not a beautiful looking sauce like yours. It was more paste like and quite thick. I keep wondering where I went wrong!! Sorry to hear that. Perhaps add a little more water next time and blend for longer. You really need to blend it until it is very smooth. There’s no point rushing as you won’t get the same result. Better luck next time. I certainly appreciate all the effort you’ve taken in order to perfect your recipes, and to publish them on this website for free. There are many food aficionados out there (myself included) who are never happy unless we prepare a dish which tastes authentic, and lives up to our perfectionist standards. With that said, I look forward to trying your Chicken Tikka Masaala recipe, and believe the extra effort making the base gravy is often over looked because many people want things quick and fast, but don’t understand that “clean cooking” requires work and time invested. I’ve tried several other online recipes which fall way short of an authentic/restaurant style Chicken Tikka Masala., perhaps because I’ve had some of the best out there. A few questions for you, and I apologize ahead of time if you don’t want other links to recipes included on your site, but I’m including these to help as reference points with my questions. Thank you again and I look forward to your input. I have so many chicken tikka masala recipes. In fact I have a recipe quite similar but not exact to what is in that video. This will be a much sweeter CTM than is presently on my site. I hope to get it all typed up soon. I am glad to see that you are still answering questions on this website. I have been searching for the perfect chicken tikka masala recipe and I have probably tried about 25 different recipes that I have read online and none of them come even close to the chicken tikka masala that I have had in the restaurants here in the United States. Pretty much everywhere you go here in the United States, all of the chicken tikka masala dishes taste pretty much the same… this phenomenal flavor that I cannot reproduce at home. You have such good comments, it makes me want to renew my search because basically I have given up. I have even tried to befriend the guys that work in the Indian restaurants to get some tips, but they all pretty much give me the same vague recipes. I’m not sure if you can answer this question, and it may be a silly question, but is this recipe similar to the Indian restaurants in the United States or Great Britain? I’ve never eaten at a real British curry house, just one in New York City called brick road? which I really loved. So I guess I am basically asking whether or not this tastes like the Indian curry restaurants in the United States. That’s the tastes that I am looking for, and if I could make this stuff at home, you will be my new hero! Lol. It looks like you’ve made a lot of people happy with your recipes and I thank you in advance. Thanks for stopping by. Chicken Tikka Masala is a British invention. I’m from the US but have not yet tried a CTM in the US that is as good as what is made here. This recipe was given to me by some really popular chefs. The thing with CTM is there are so many recipes and interpretations. If you use my recipe and don’t get the flavour you’re looking for, try to think what it might be that it is lacking. My version is more savoury than others. There are some very sweet versions out there. The sweetness comes, of course from lots more sugar. The CTMs I’ve tried in the state also use block coconut which is used here in the UK by some chefs. Just add it to taste. I hope you get a chance to try this. Please let me know what you think. Followed this recipe pretty much to a T… but ended up with a bitter tasting curry! any ideas where I might have gone wrong?? When I added the spices to the ghee.. it went very dark brown and thick! And didn’t smelt too pleasant really, but I’m perplexed! I kinda of rescued it with lots of sugar and more cream, but it wasn’t like the really nice mild creamy ones you get at a restaurant. It sounds like your ghee might have been too hot and you burned the spices. That would make them go darker and also taste quite bitter. The bitter flavour could also be from when you added the garlic. Garlic burns easily and is very bitter when it burns. I love this site, thanks for all the work you put into it. I made the Tikka Masala last night using the base sauce (which is great). However, the end result tasted a little more like a korma than a tikka masala. I didn’t get that tomato tang from it. Perhaps I needed more tomato paste? I also didn’t have Fenugreek leaves so Iused 1/2 teaspoon of Fenugreek powder. Do you think this might have thrown it off a little bit? Thanks for all your hard work. I now have 3 jars of sauce in the freezer that’ll keep us going for a few weeks and I’m so excited to try other recipes. Hi Dan, I made this curry and it was very nice don’t get me wrong! Between my family and friends was gone within the hour! However it just didn’t feel completely like a chicken tikka masala. There were aspects in there but it seemed to be lacking something or other! It seemed to be lacking a kick and maybe wasn’t sweet enough. Would you include coconut or add more spices to sort this out? Thanks for your questions. I have made so many different chicken tikka masala recipes. I don’t like them sweet but many people do. A few more tablespoons of sugar wouldn’t be out of the question for some restaurants. Coconut could also be added. Usually any problems with a chicken tikka masala can be corrected by simply adding sugar or coconut. I make mine mild though I prefer it spicy. A little more chilli powder will do that. Hey, Dan! Great curry! If I were to make this for a party by either doubling, tripling, quadrupling, and so on, the curry batch size, would I multiply the ingredient amounts by 2, 3, 4, etc? Also, I’m planning on making this dish for a party of about 50, if not more, guests. How should I go about making the curry for that many people? Hi Nate. Thank you. Yes but also be sure to taste it along the way. At the end of the day, it needs to be perfect for your own taste. Just make the amount you need and adjust accordingly. I was in Scottsdale, AZ a few weeks ago. Went to the Taj Mahal for dinner. Apart from the character that was the cook, he acknowledged that his secret was a great curry base. cooked for hours – a little bit goes a long way. I was surprised that it equally served my coconut korma as well as my CTM. I think it is the richness of the base PLUS the needed spices for the specific dish that makes it great! Anyway, just thought I’d share my experience. the control over the spice/heat goes a long way to make my wife happy. She even takes left overs to work in the AM. Never did that will Curry’s from a shop! Great to hear! The base sauce is the secret ingredient that makes a good curry awesome! When I cook this recipe in the US, I usually use half and half. Hope this helps. As there is no vinegar in the recipe, it must be another acidic flavour that is not agreeing with you. Either the tomato paste you are using or the lemon. Many chicken tikka masala recipes are very sweet. Try adding more sugar to taste next time. I’m not a big fan of sweet curries but I know a lot of people love them and the sweetness could also mellow the acidic flavours. Hope this helps and thank you. Thanks for building a fabulous site. I have made a few different base sauce’s before, but this one by far has to be the best one ever! I made a large batch yesterday (I also made a large batch of garlic and ginger paste) and i have frozen it in ice cube trays like you suggested and its a brilliant idea too. I made the this dish tonight and there was none left, absolutely cleared plates and happy faces. Chicken korma and madras next!!! Thank you very much. I love getting feedback like that. 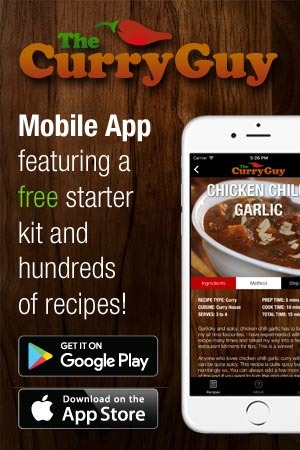 I’m really glad you are enjoying the recipes and app. First class work, Made the sauce made the korma and masala and all turned out great and far better than my local takeaway CHEERS will be using this recipe for years now !! 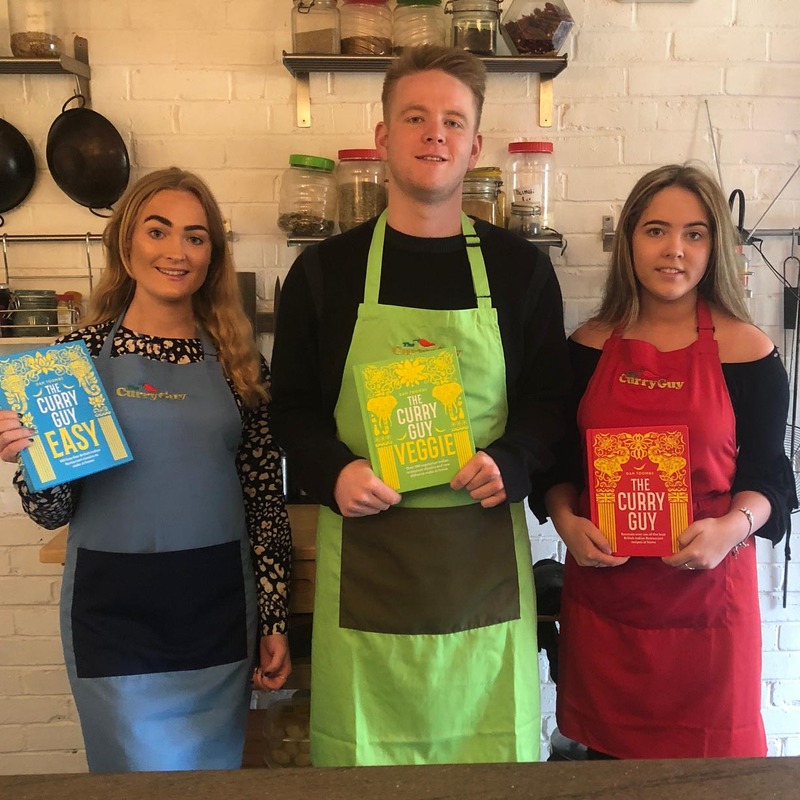 Great recipies – Thanks! We knocked up a few of these last night after cooking a large batch of base and they were all great. Only this one tasted slightly burnt – I saw a comment above and wonder if it might have been the tomato puree? (It did however taste great today and not at all burnt?) Any idea what I did wrong? Also I need to make a vegi version of this. Would it work with Paneer? Would I marinade it in your tandoori recipe? Or should I use another vegetable? I’m not sure what is going on there. I have made this recipe many times and it doesn’t taste at all burnt. It could be that you overcooked some of the spices or indeed the meat but I don’t know without trying it. Better luck next time! Regarding your question about paneer, yes. You can marinate it in the same marinade. 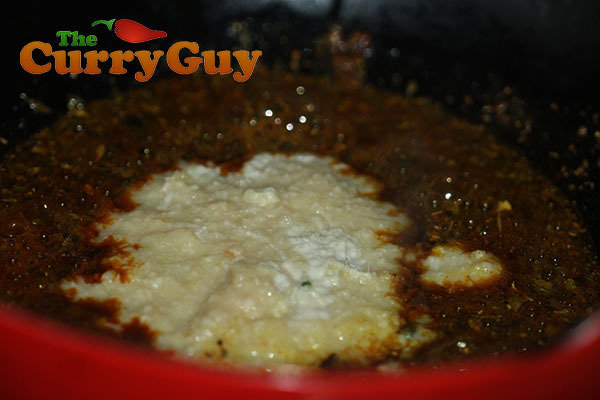 Either fry the paneer until brown and add it or you can also add it raw but just at the end of cooking. Raw paneer breaks up quickly so it needs to be added right at the end until heated through. This only takes a couple of minutes. Over the other side of the world in oz and miss chicken tikka masala, your recipe was amazing I don’t need to. One back home to get a curry now. Great to hear Karen. Thank you. I’m making this recipe what can I add to this instead of double cream ( trying to be a little healthier of late). You could use single cream which is a little bit better. 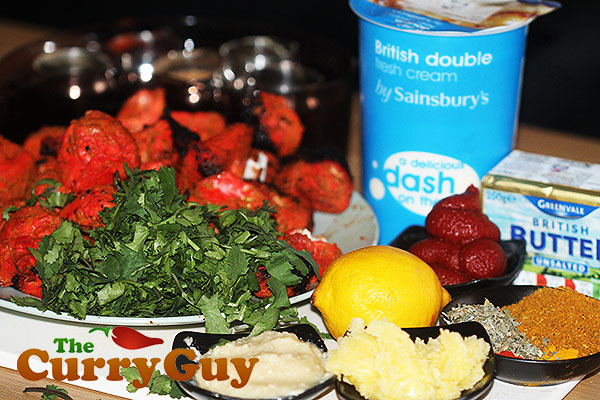 Another option would be to reserve the yoghurt marinade if you are making this recipe using one of my tandoori chicken recipes. Remove as much of the marinade from the meat before cooking it. Then stir it in at the end of cooking one tablespoon at a time. If you add it too quickly, it can curdle. Bring to a simmer to kill off any bacteria from the chicken. This works really well. Iv followed every step but iv tasted it and it’s got a tang to it. Have you got any tips to get rid of the tang maybe more sugar? That’s the first I’ve heard that one. If you don’t like the tang, perhaps leave the lemon juice out next time. If I could taste your version, I could probably figure it out. More cream might do the trick too. Many people like the CTMs quite sweet. If that is you, a little more sugar might help to. Oh my gosh, I could hug you for creating his recipe! I adore tikka masala, but the homemade versions just never quite live up to the curry house ones. Giving this a go asap! I decided to make this version tonight instead of the book version and it turned out really well and was really tasty. The only issue we had though was it tasted a bit ‘bitty’ as though the spices weren’t dissolved correctly. Any idea where I went wrong? I feel I mis have shortened a step or maybe my ghee wasn’t hot enough? Thanks for the recipes, madras next time, after perfecting this obviously lol! Thank you. If it was a bit bitty, your spice blends were not ground finely enough. Try running them in the grinder longer. It is also not a problem to be a bit bitty! In Indian cuisine, the spice blends are often not ground finely. They are then cooked longer. It is a personal preference thing but if you grind for longer, it should solve the problem. Very excited to try this. Already cooked up the base and am currently marinating the chicken for tomorrow. Looking forward to see how it tastes. I still have not been able to get a curry right. The marinades are always amazing but the sauce is just terrible. Hoping the prepared base fixes my problems. I am worried though, I made your garam masala blend. I know this masala is normally bitter when its fresh roasted and blended and my blend is no exception. Your recipe calls for two tablespoons of the stuff and I’m wondering if that’s going to be too much. Will the bitterness cook off during the simmer? It has a nice aftertaste but it is very bitter and it’s possible I burned some of the whole spices. There is no apparent bitter taste in the base but that is a lot of gravy for only one tablespoon of garam masala. Any advice is welcome, I am ready to finally have a curry turn out right. Thanks for all the work you have put into this site. I cant wait to get going on some of your other recipes. Thank you for getting in touch. The bitter flavour often comes from slightly over cooked cumin. This shouldn’t ruin your curry though. I recommend halving the amount you put in your sauce. As these are warming spices, more can be added later in cooking to taste. If you find that it is too bitter, you can always add a little (and I do mean a little) sugar to balance the flavours. I’m loving the book mate!! I was always lead to believe tikka massala has cocunut in? Thank you very much. I’m really glad you are enjoying the book. Yes, it depends of the chef. Some use coconut and others don’t. Some use coconut cream or milk and other us powder. It really depends on what you like. You can use any of these or completely leave it out. Excellent blog and recipe. Finding your site is a revelation! For the first time I’ve been able to make an ‘authentic’ tasting british curry house curry. I actually was cheeky and did an amalgamation of the Tikka Massala and Garlic Chilli recipes because I couldn’t make my mind up – I basically followed the Tikka massala recipe, but started by frying garlic slivers as per the Garlic Chilli recipe and I added three fresh chillies towards the end before adding cream and butter. It was delicious! Thanks for that Alan. That’s what this style of cooking is all about. Just mix in what you like. If it sounds good, it probably will be. Where would you personally say your best and most recent update of your CTM recipe is? Here on the site, in your books, or in your app? I can see there are quite a few recipes on here, just trying to work out which one is the most recent one (and hopefully the best one! 😉 ). They are all very authentic curry house style. My most recent is in my printed cookbook. It and the one on my app are my current favourites. Hi Dan, Thanks for this recipe. I have my base curry made up and in the freezer and my chicken tikka marinading until Fri night when its going to be curry night ABW !! .. I am very much a noob at this and I have been following your excellent instructions to the letter. My quetion is, when I take the Chicken Tikka from the marinade to cook (will have to be in the hot oven) do I wash the excess marinade off or just pat down etc with kitchen roll. Thank you. Don’t wash the marinade off! Using your hands, remove as much as you can from the meat. Reserve the excess marinade. Then stir it into the sauce, one tablespoon at a time at the end of cooking. This will add a lot of nice flavour. Be sure to bring it to a simmer to cook off any raw meat juices. I add the marinade one tablespoon at a time because if you add it too quickly, the yoghurt will curdle. Have fun with your curry feast! Is it possible to make a curry just using the prepared garam masala plus garlic/ginger onions ect (fresh ingredients) rather than having to add more spices? I’m trying to understand the variation and role of the garam masala here when often the extra spices feature in the mix anyway? You could definitely just use garam masala in a curry. Cooking spices in different ways brings out different flavours. You won’t be disappointed with just the garam masala You could always add more of another spice if you want to. Can I use the base curry sauce for this one? Hello, I’m looking forward to trying this! I’m in the US and wonder if you might have recommendations on where to buy premade chicken tandoori tikka? Is there another name it gops by here? When I google it, I only see frozen chicken tikka masala. Thank you! Hi Dan, my friends and I made this recipe whit lamb, and it taste amazing! The only thing me and my Husband thinks is that it could be a little bit spicier, can we just add a pinch of chili powder to make that happen? Also, how long will it keep in the fridge? We got some leftover sause after all the meat was eaten, also have some leftover from the base curry sause, how long will it keep in the fridge? And how long in the freezer? Yes! Definitely add more chilli powder or even chopped fresh chillies to taste. The sauce will keep in the fridge for about three days. You can freeze it for up to three months. Hi, I bought your book and followed the recipes to the letter, however 2 times IV made this now the Currys has ended up bitter/sour. I tried adding sugar and coconut milk and cream on different occasions but always seems to have the same bitter taster. Any ideas what could be causing this. This recipe produces the best Chicken Tikka Masala I have ever tasted. Think I burnt the spices, I reallyyy screwed up the whole thing, I made it so bitter; will defo cook the spices quicker next time! Probs just 15 seconds rather than 30. Or turn the heat down. Hope you have better luck next time. Been making Indian dishes and stuffed nanns for 30 years ,2 or 3 times a month, everyone says they are good, and they are! Bought red and blue books on a whim last week, took a week and a lot of travel to get the missing spices, and I made this dish this evening, with some naaan (but made with tipo 00 flour), and it was amazing! Boiling the cabbage for the starter curry I thought this was a waste of time, how wrong I was. Looked complicated but was actually so simple . Perfect . Thanks alot! Great recipe, so thanks. Whenever I use coconut flour or almond it gives a slightly grain like texture to the the sauce. It seems a bit odd any ideas. Was thinking of using a grinder or coconut milk instead would this solve it without altering taste? Coconut flour is usually used but there is no reason you can’t use coconut milk. It will work fine. This looks amazing, I’m going to make this tomorrow for my moms birthday, my chirken is currently in the fridge marinating! Great to hear Kristal. Thank you. Hope you all enjoy the recipe. Also calories of one serving? 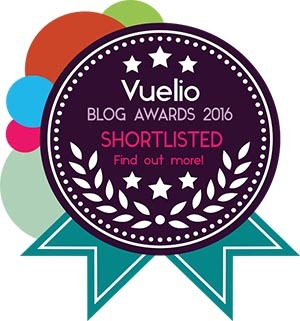 Apologies for the questions – just trying to work out if I can have on my low carb/high fat diet! Just bought your books last week and made this on Sunday. Absolutely brilliant. The rule in the book about spending an afternoon to get everything is a GOOD rule!. I spent saturday making up the basic sauce(lots now in the freezer) and the powders and then when Sunday came it was straight forward. I have even got the cook at my work to make this for the staff on Friday. Going to make the garlic chilli chicken on Sunday! That’s great to hear! Thank you very much. I’m really happy you are enjoying the book too. Hi, I was wondering I follow your chicken Tikka recipe but use pork instead if it would work with this tikka Masala recipe, what are your thoughts on this? Pork would work perfectly. Just make sure to cook it until nice and tender.